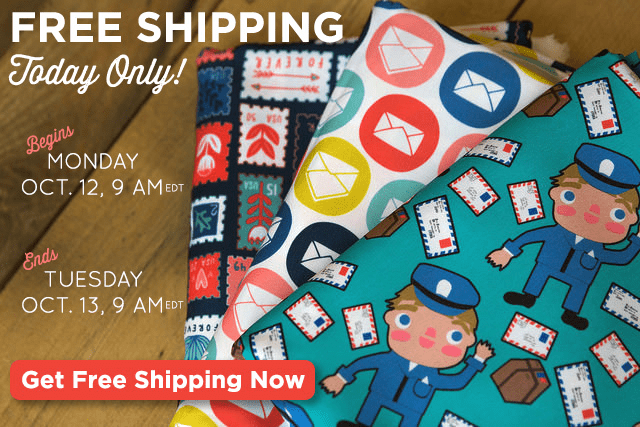 Creative folks worldwide — we're offering free standard shipping on all fabric, wallpaper and gift wrap orders for 24 hours only, between 9 am EST on November 30, 2015 and 9 am EST on December 1st. 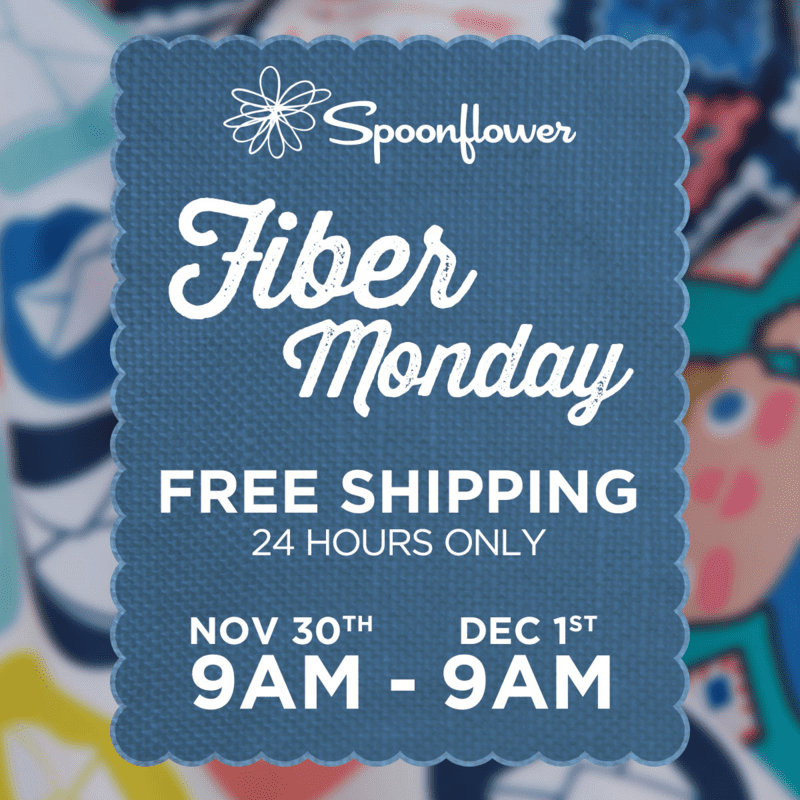 Free shipping will run between Monday, November 30 at 9am Eastern Standard Time (EST) and 9am EST on December 1, 2015. As many of you know, we went through about six weeks of agonizingly long turnaround times in the spring. 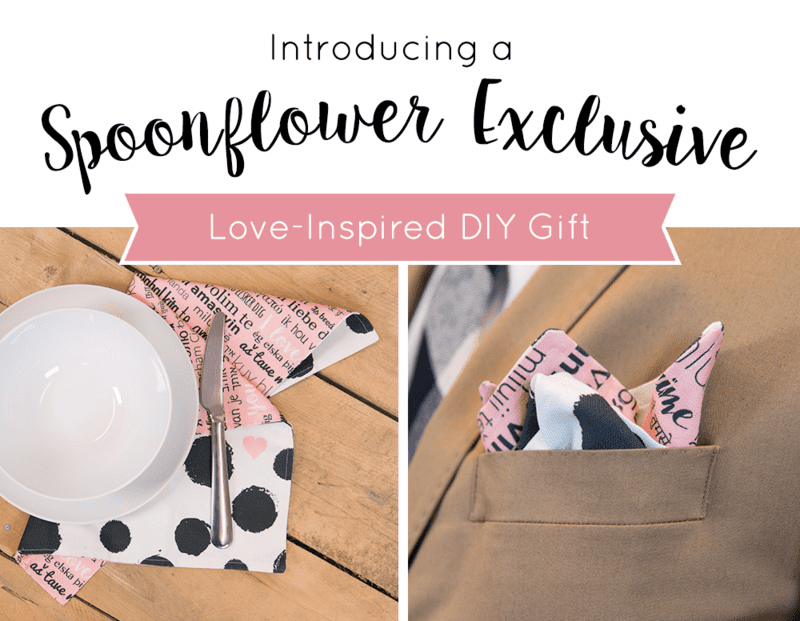 Spoonflower's amazing customers were waiting a very long time to receive their fabric, which was unfair, inconvenient and generally hard on everyone involved. You hated it. We hated it. But eventually — with more printers, more people and a lot of hard work — we got through it. Because we're now completely caught up and turnaround times are very short (under five days on average for all regular shipping orders) we figure that this is a great time to do a very small something to thank all of you who suffered through our slow spring. No, they are not. 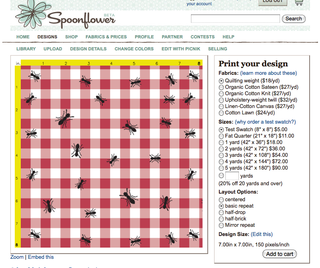 Spoonflower just sells fabric, so the tea-towel calendars and other kits (stockings, kits, etc.) arrive to you as fabric and in order to use them as gifts you'll need to hem, cut & sew as needed. Unless you're giving them as kits to someone else who sews, which is also a fun idea. 2) If I'm a designer, will my commission on sales be half of what it normally is? Nope. You'll still earn 10% in Spoondollars of the undiscounted price. 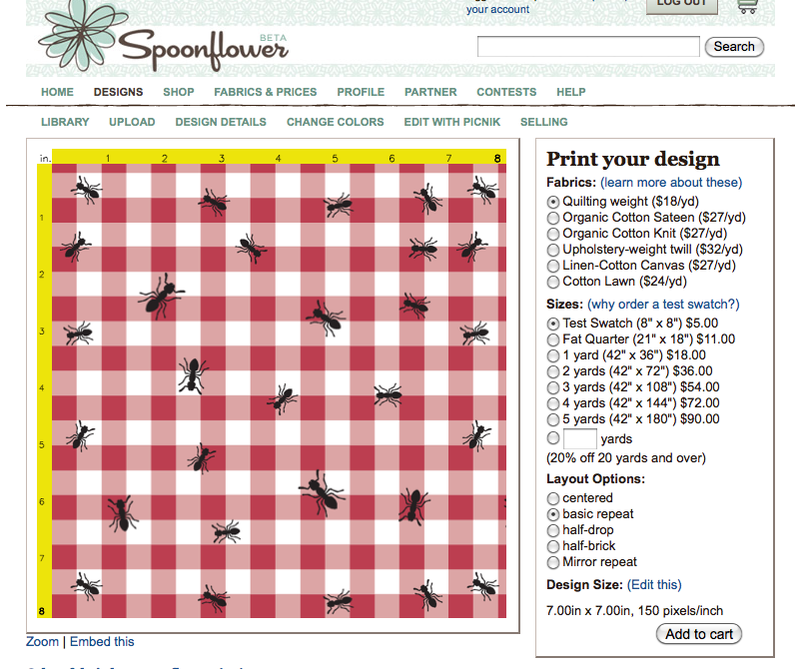 7) Can't I just add a yard of fabric to my cart and get four tea towels? The special offer applies only to fat quaters. 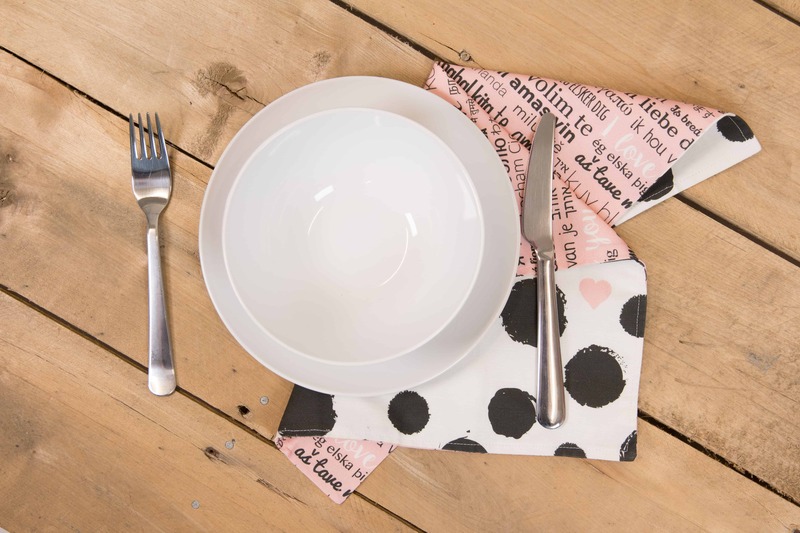 In some cases, it might be possible to get four tea-towels by buying a yard of fabric… but most designers have set up their tea towels to be centered. If the design is centered then you have to order it as a single piece. For tea towels this is usually a quarter yard, but for an apron kit, for example, it might be a single yard. 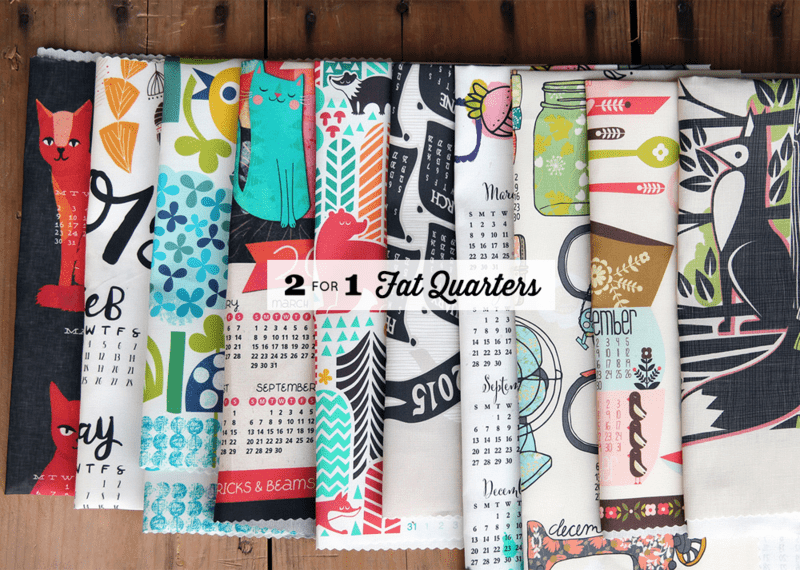 This special is a discount for fat quarters only. Free swatch day for Eco Canvas has ended, but you can still order test swatches or yardage of your own fabric designs or any of the amazing designs by the Spoonflower community! 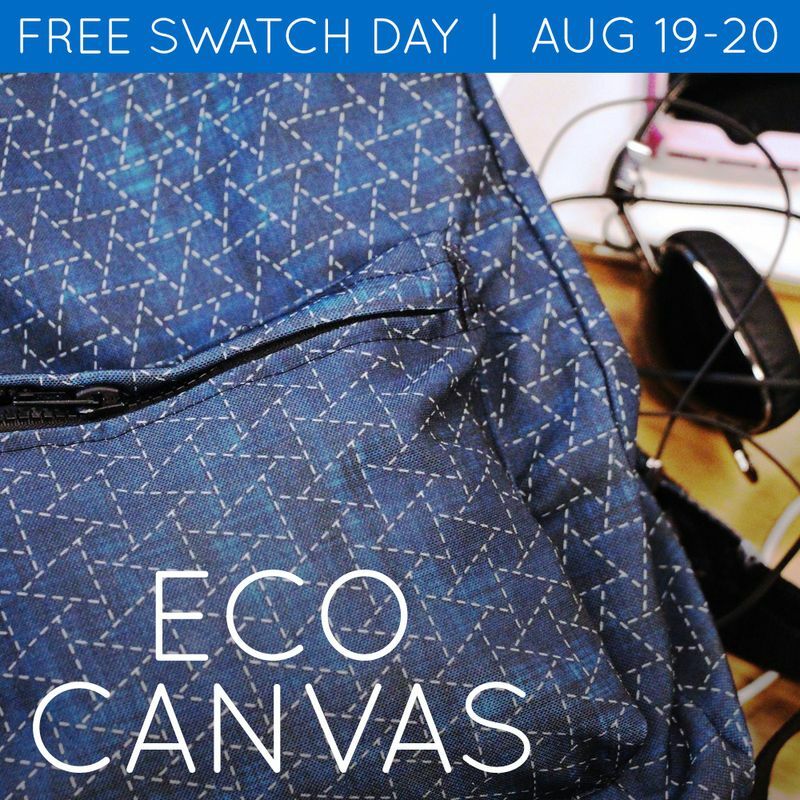 Between noon EDT on Tuesday, August 19th, and noon EDT on Wednesday, August 20th, get a free, custom-printed swatch of our new Eco Canvas fabric, along with free shipping.